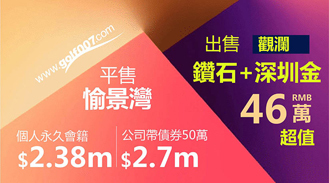 由於時間關係只可以打AB場...球場設計容錯性高, 易難度對業餘球手並不太苛刻, 新手會少掉些球也會打得開心, 但球道變化就不算多, 同時球會要注意同草坪保養及質量, 球場現時仍較新所以樹木和景觀還沒成熟. 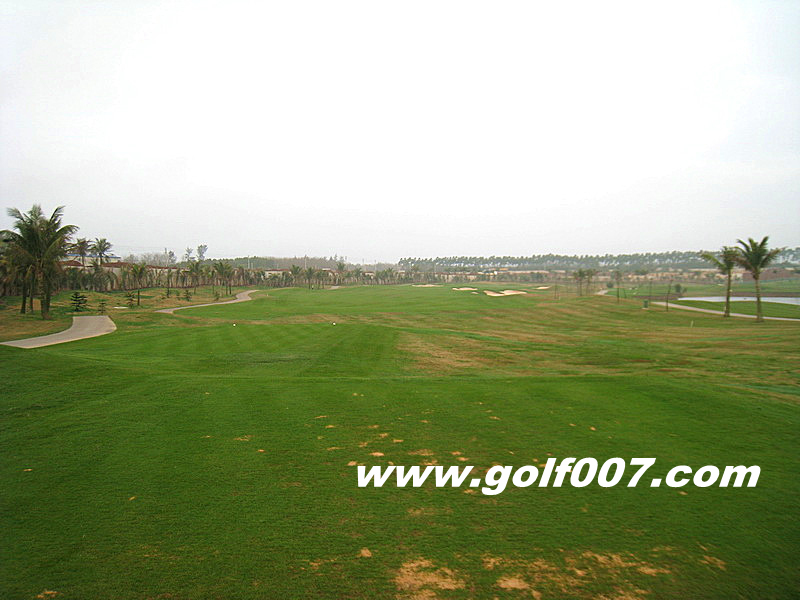 美蘭球會開業一年多, 是北京高爾夫鄉村俱樂部的姊妹球場, 位置靠近海口美蘭機場, 只十分鐘車程, 離海口市區約30 – 40分鐘車程(視乎你要去那), 球場分A, B, C 個場共27洞, C 場提供9洞燈光. 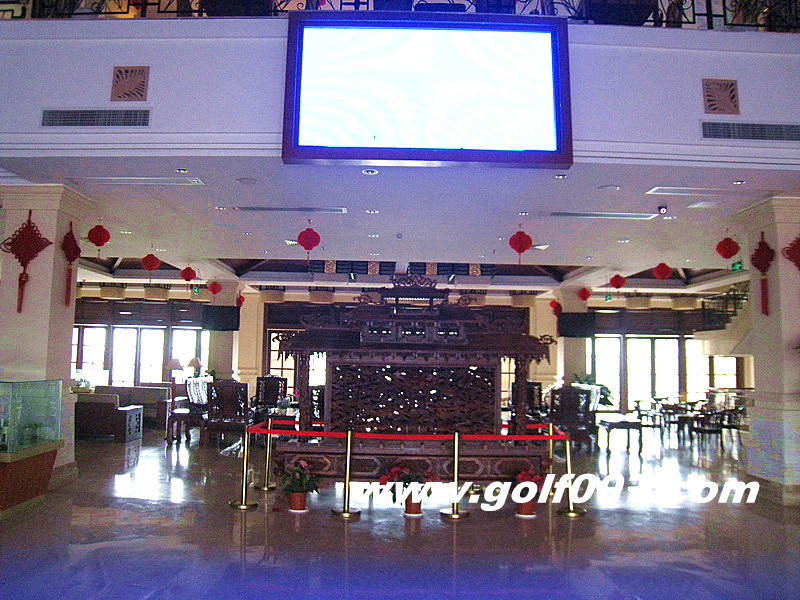 埸地較平坦而寬闊, 屬渡假式球場(Resort Style), 藍 Tee 總長6,431碼, 對業餘球手來說應該剛好, 球場防衛主要是沙坑, 其實也不算太多, 而且球道寬闊, 避開沙坑也不難, A 場到第九洞才有水障礙出現, B 場的水障礙則多些, 果嶺變化屬中等. 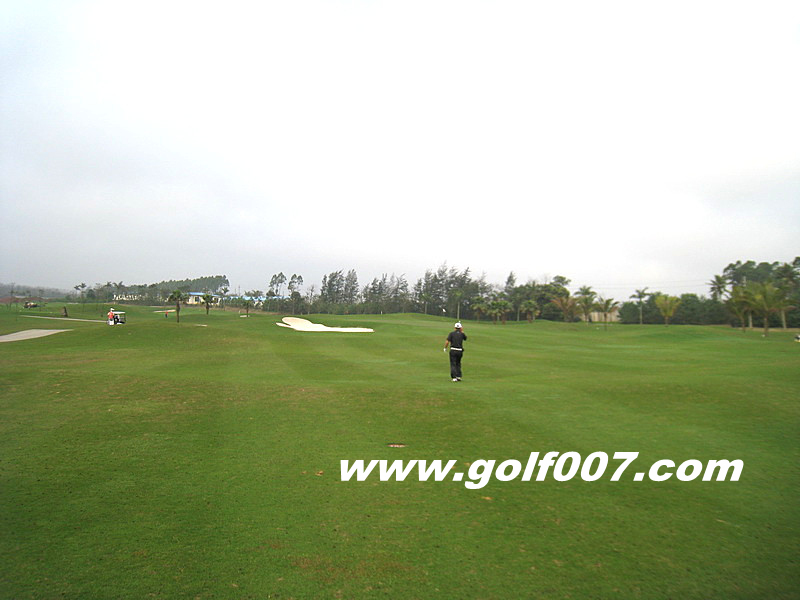 Wide and forgiving fairway for warm up. 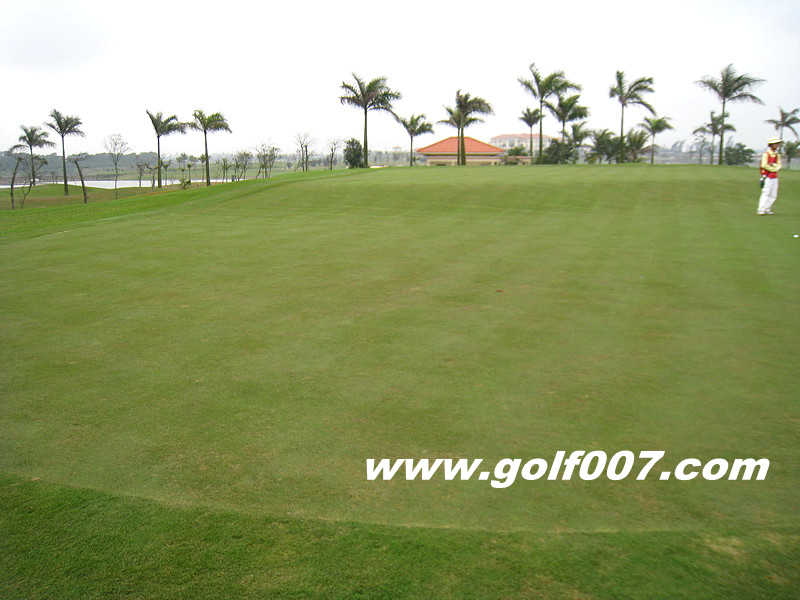 Small bunkers surrounded green. 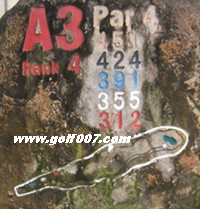 Fairly simple downslope Par 5, not much hazard. 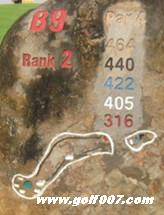 Short Par 3. 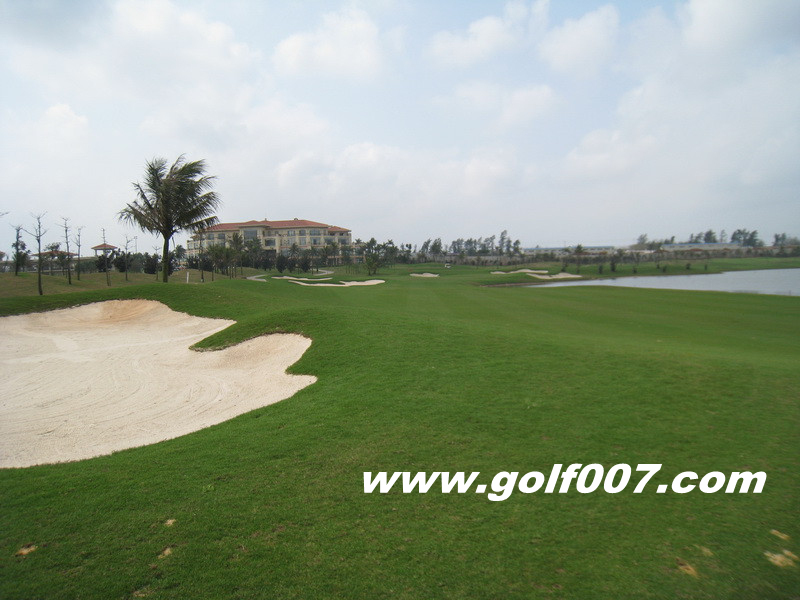 Beware the huge bunker on left. 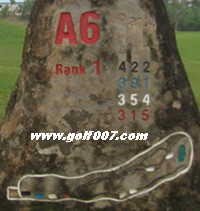 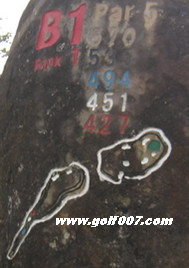 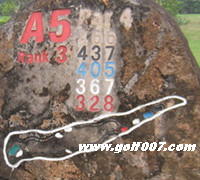 Long Par 4. 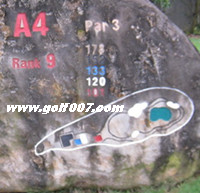 A fairly deep bunker guarded left side of green. 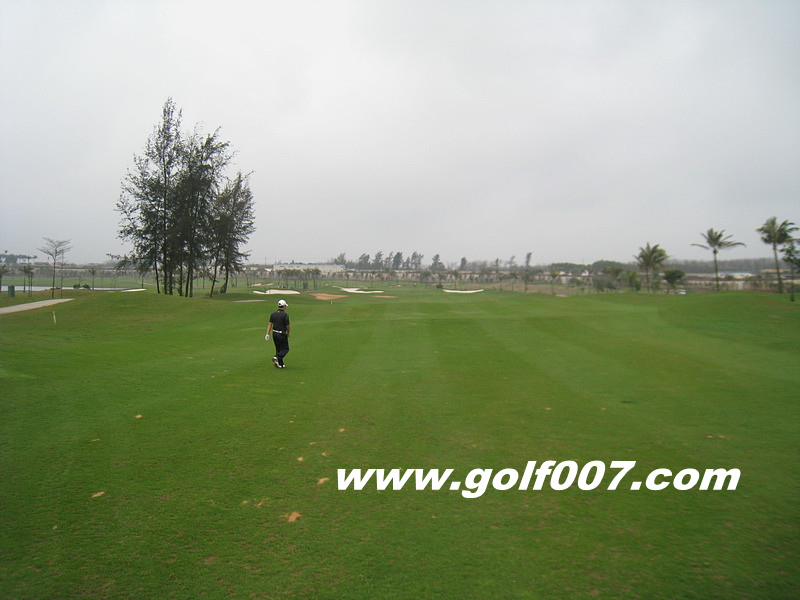 Dogleg left, Fairway running a bit downslope. 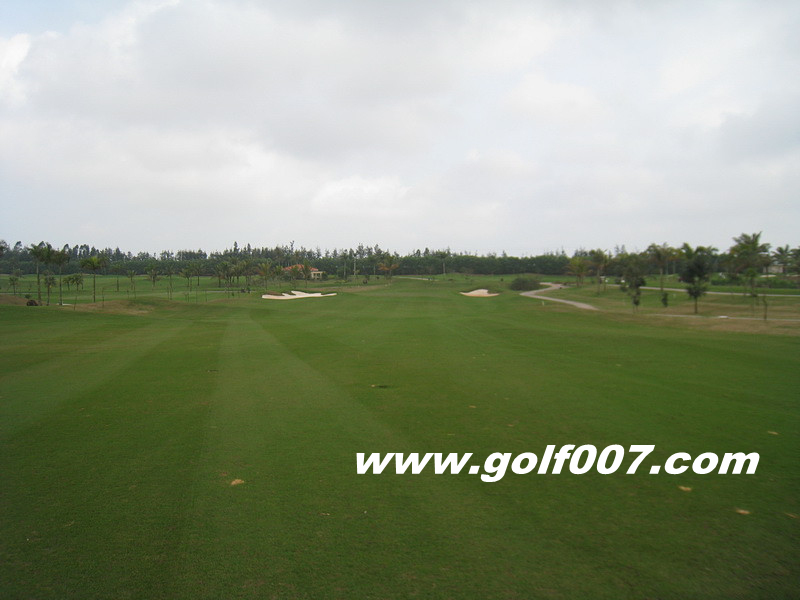 Dogleg left, pretty wide fairway. 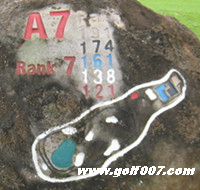 Avoid bunkers at the landing area and greenside. 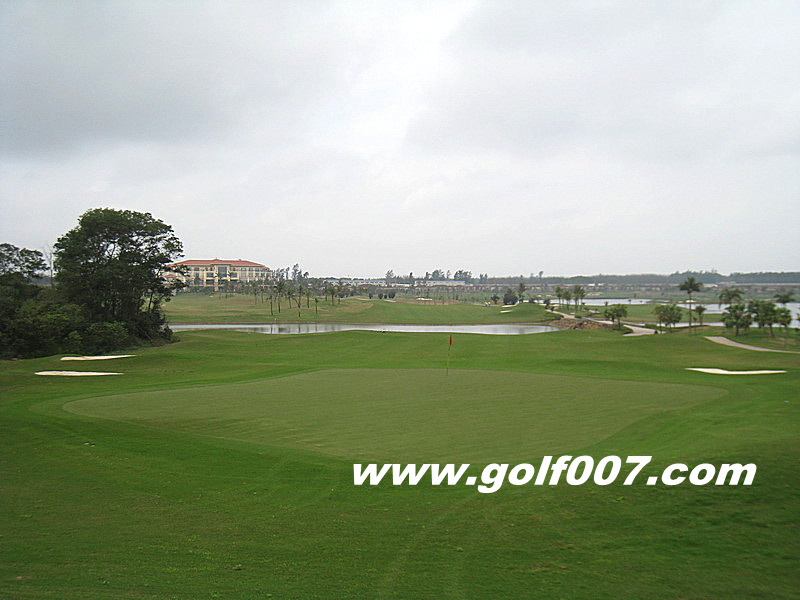 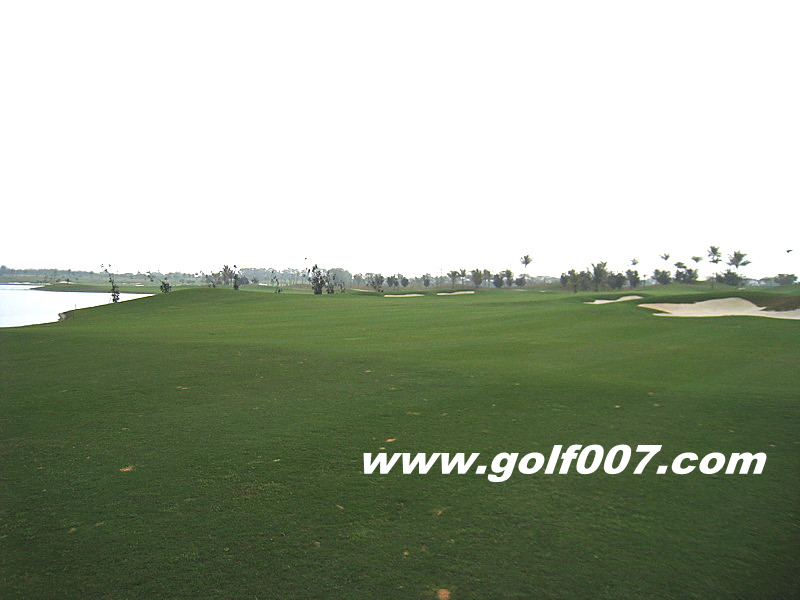 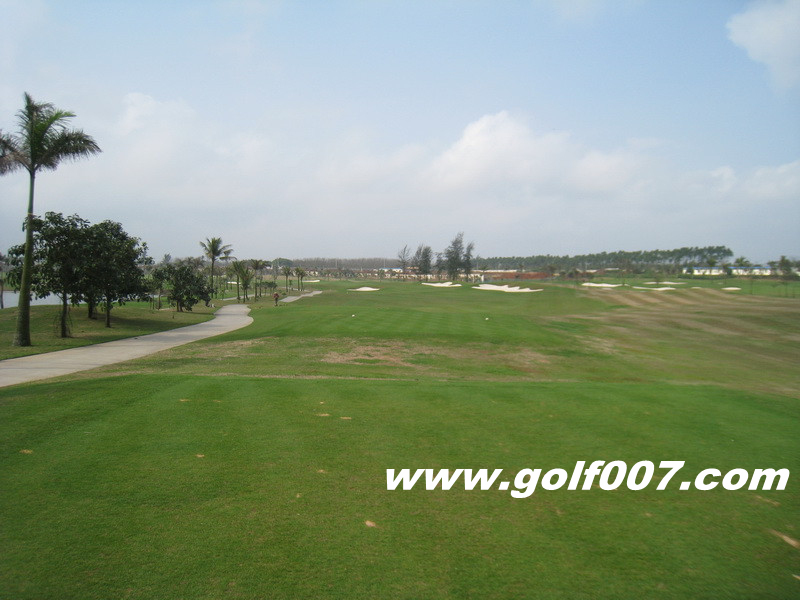 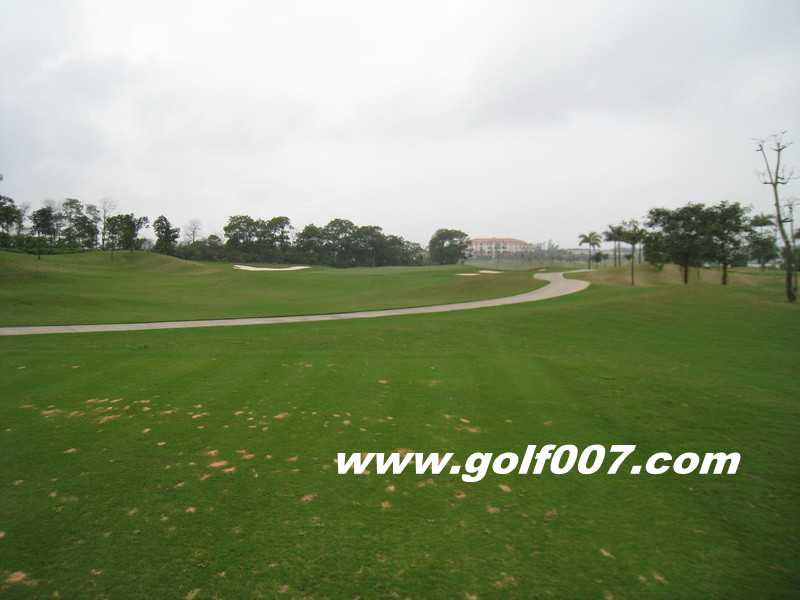 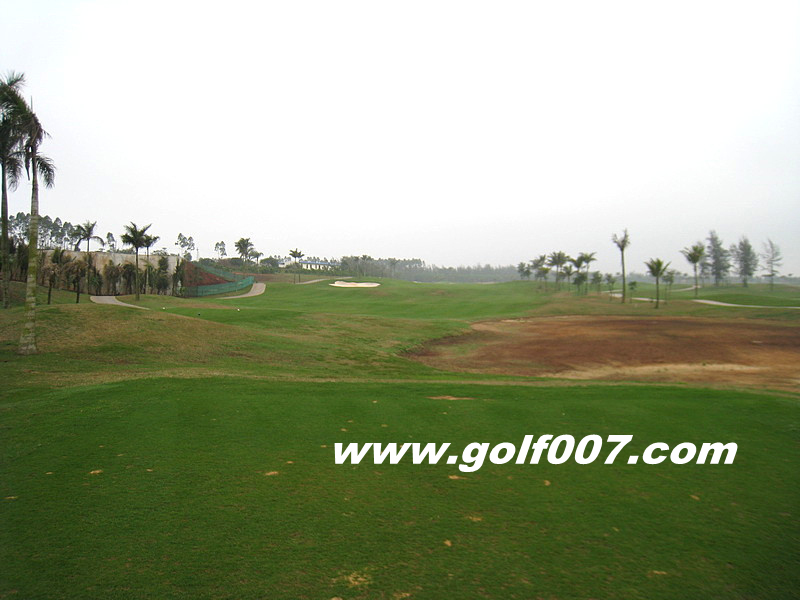 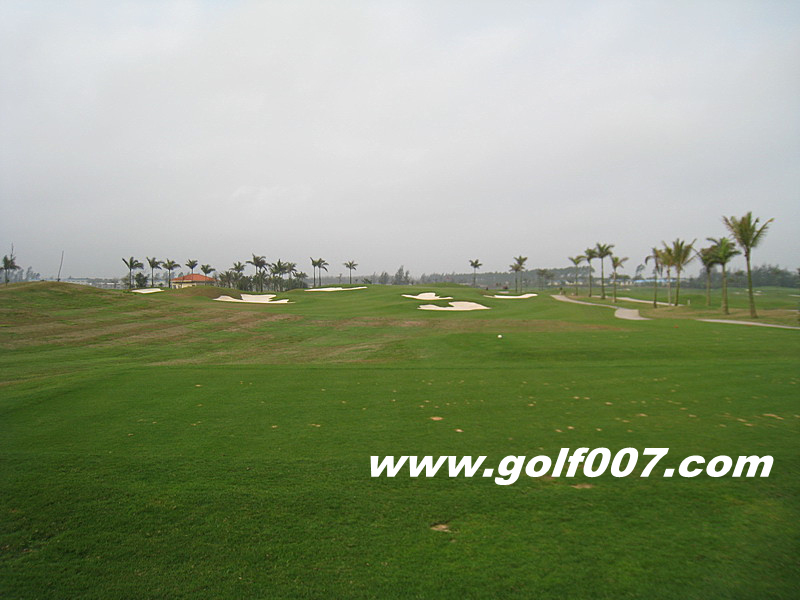 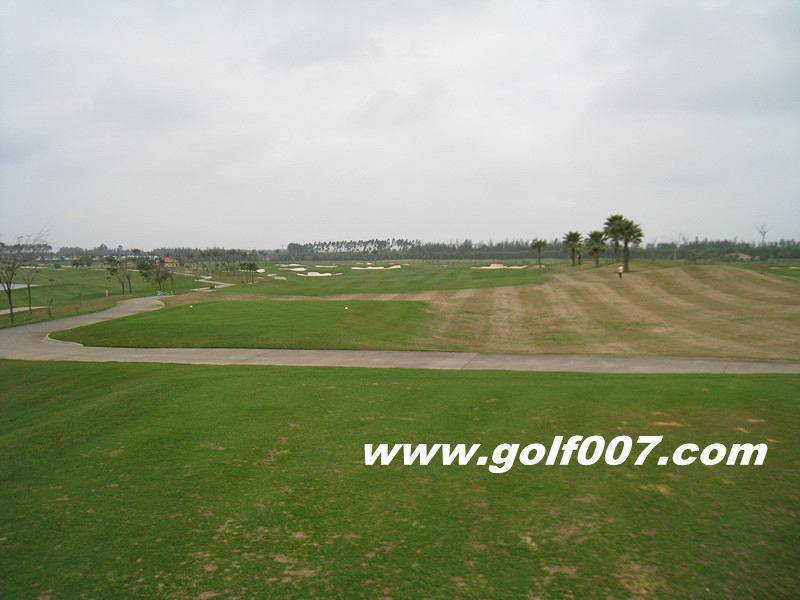 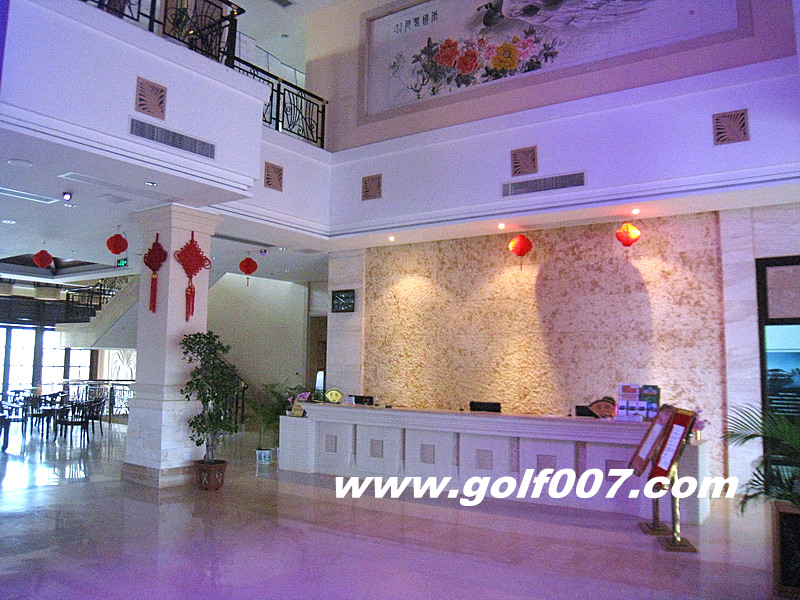 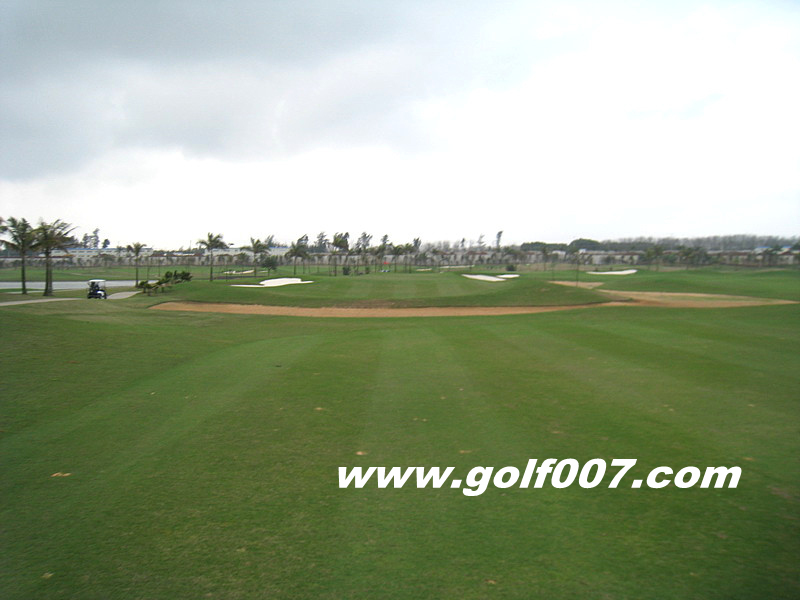 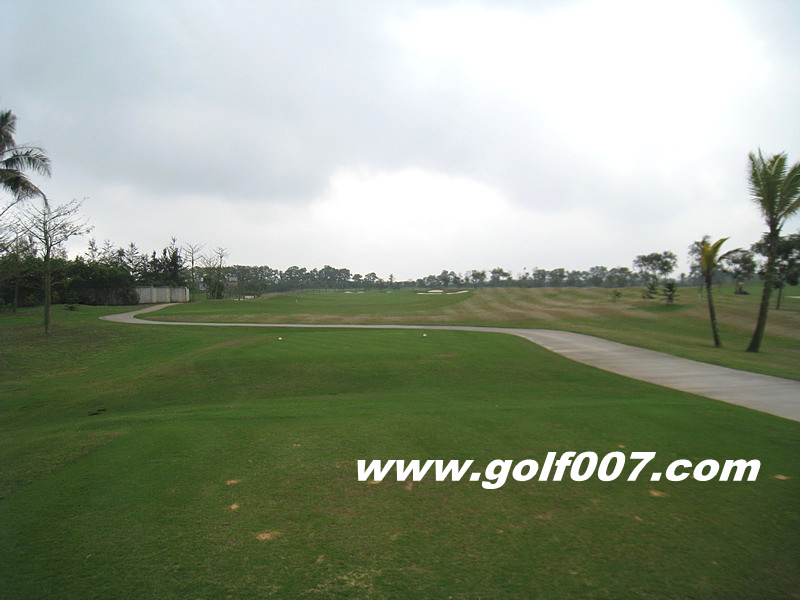 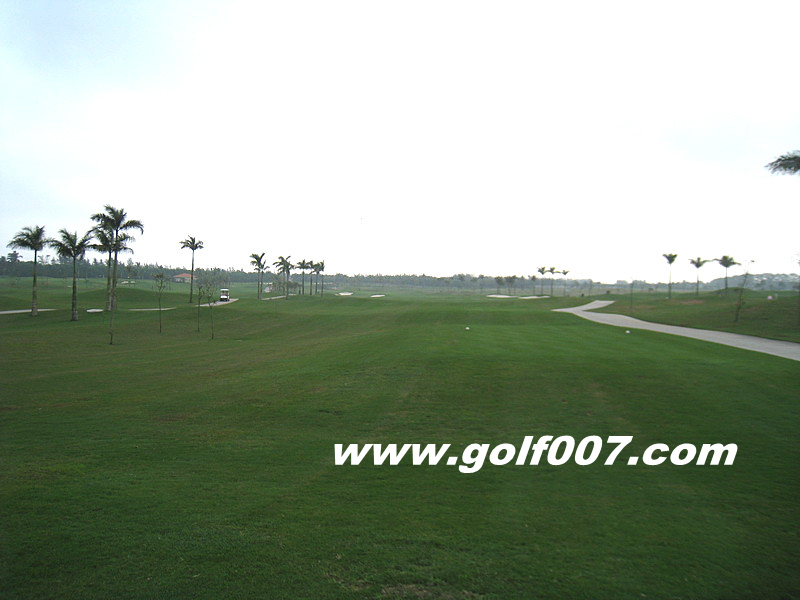 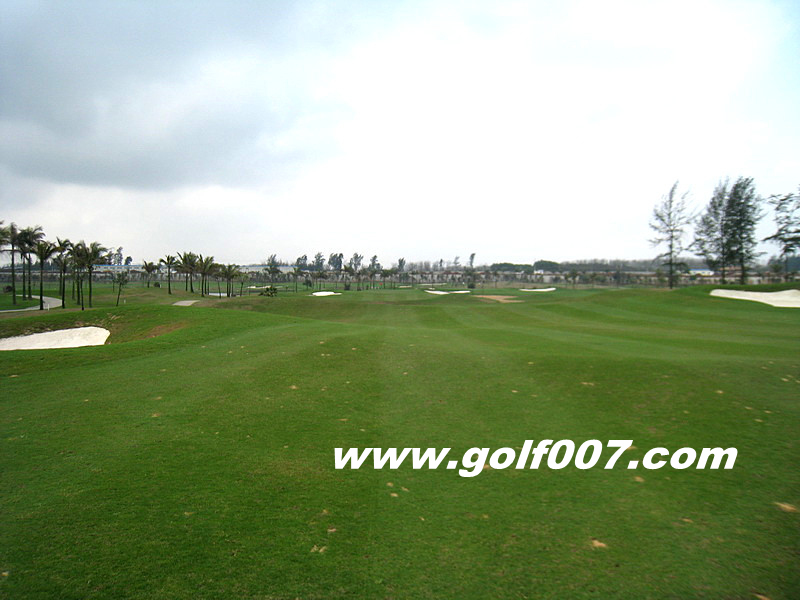 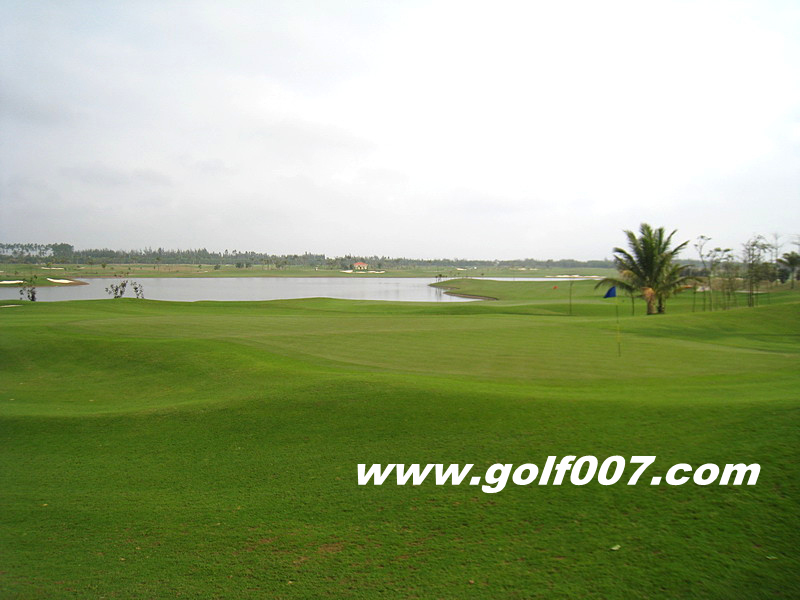 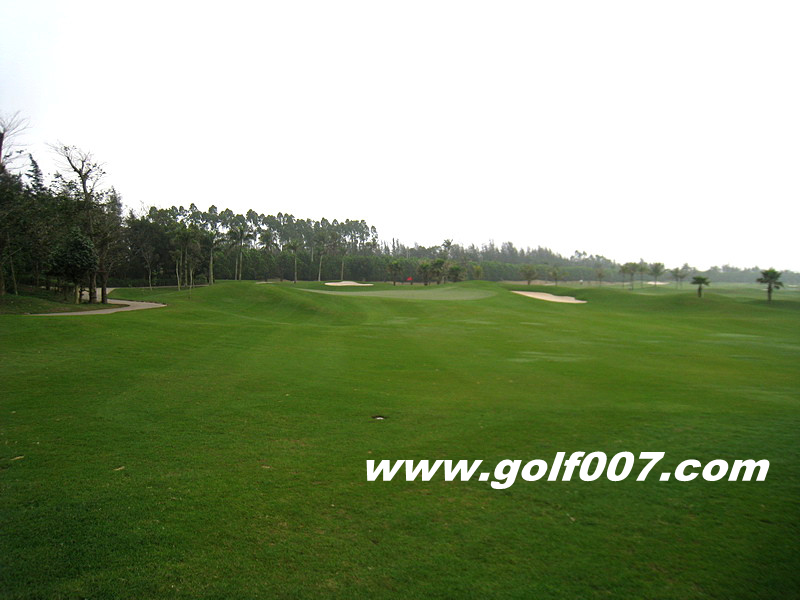 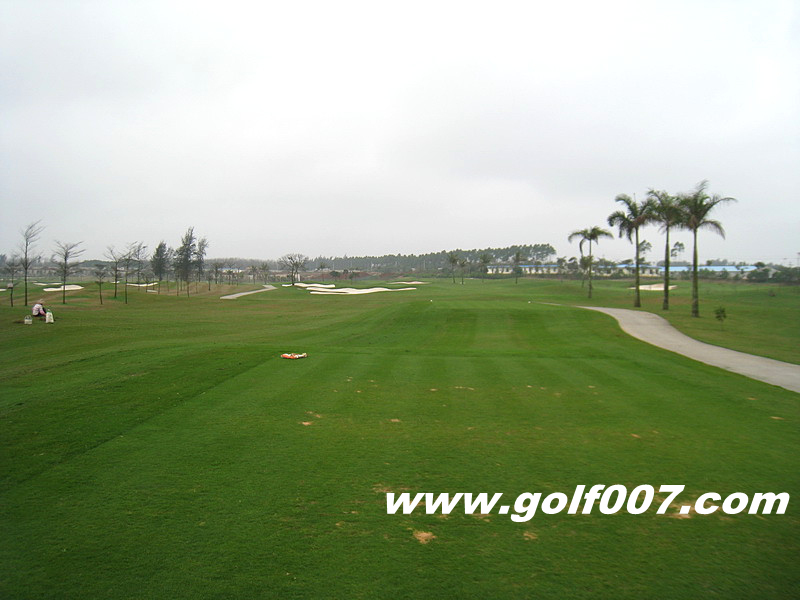 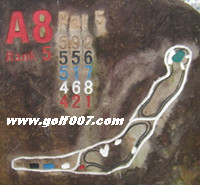 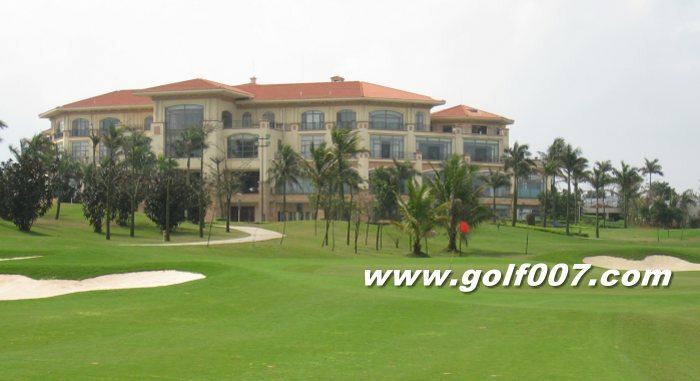 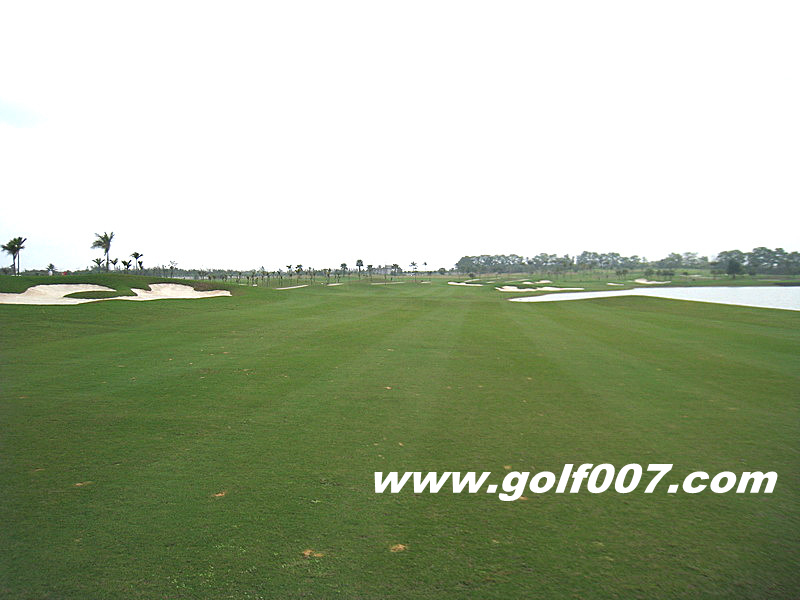 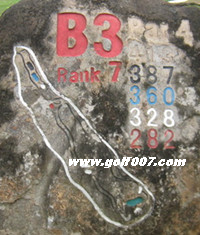 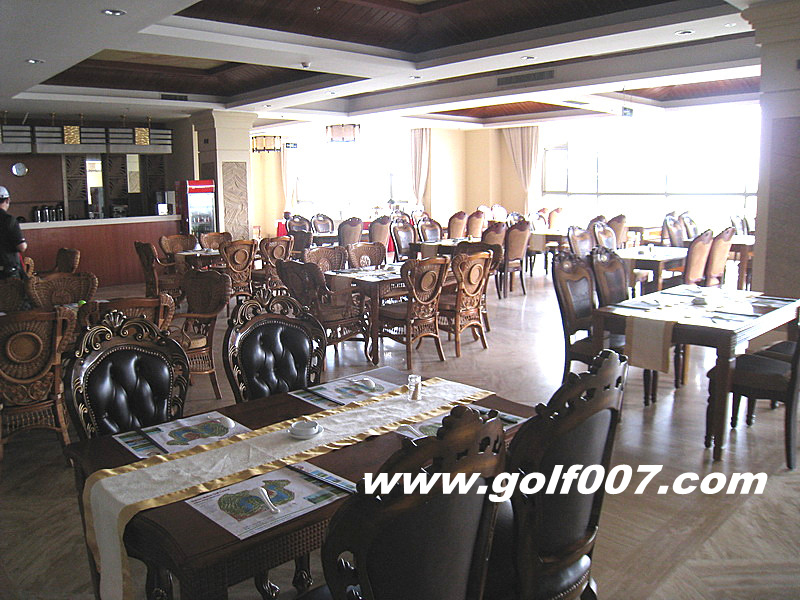 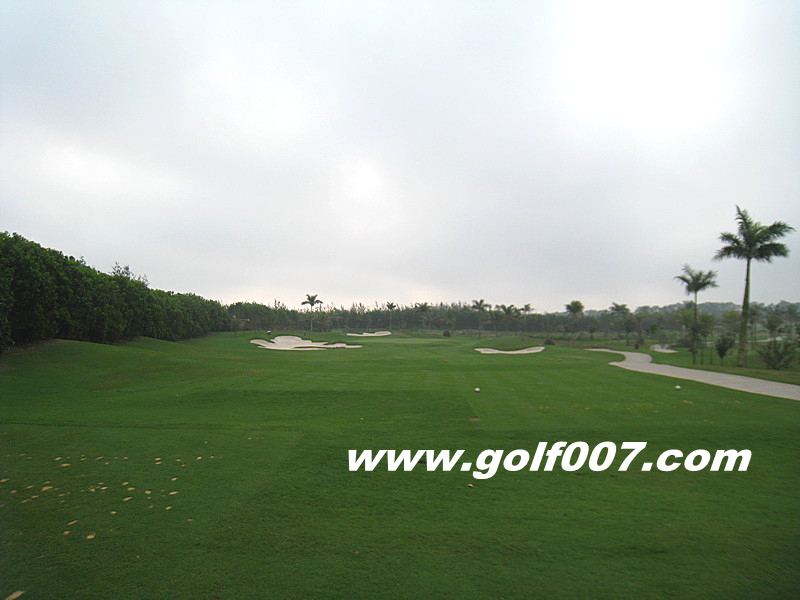 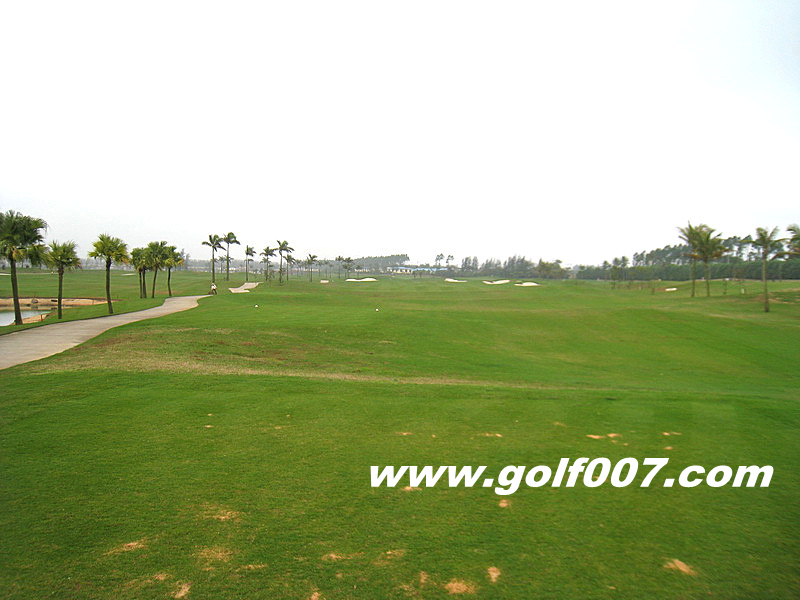 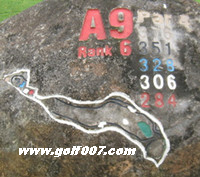 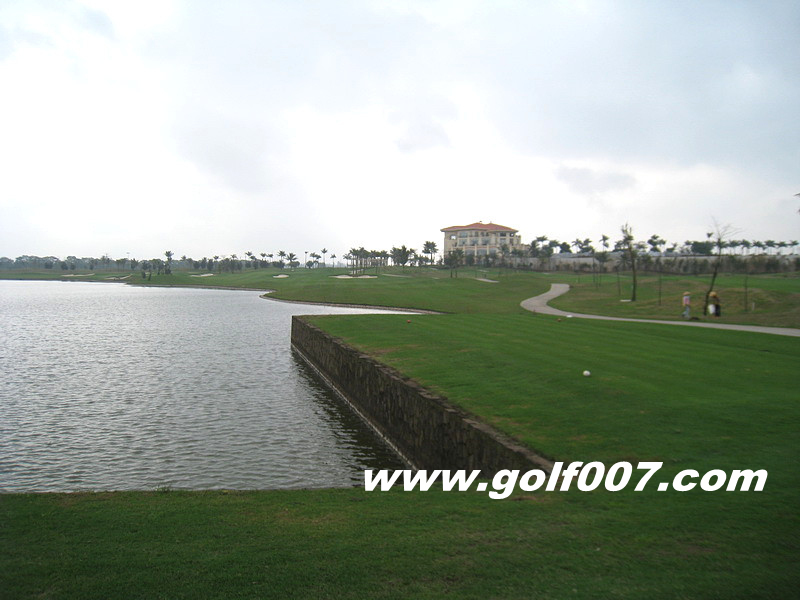 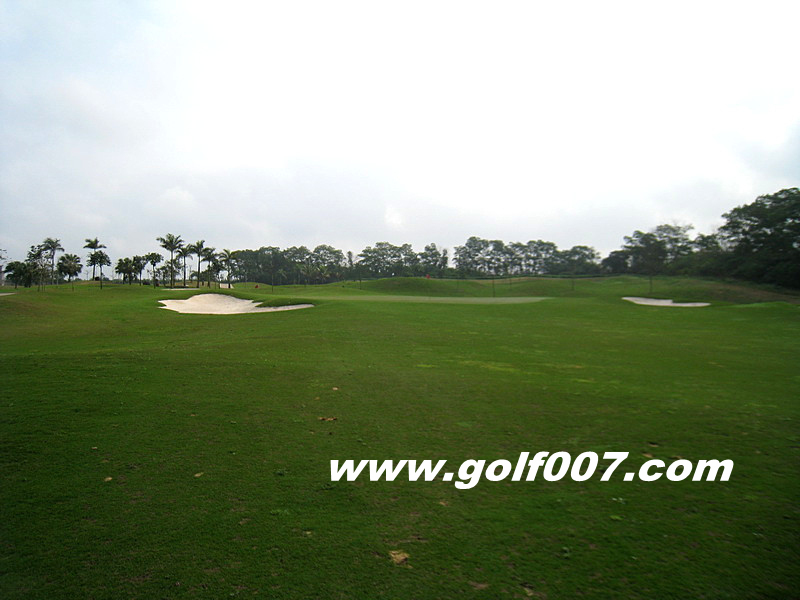 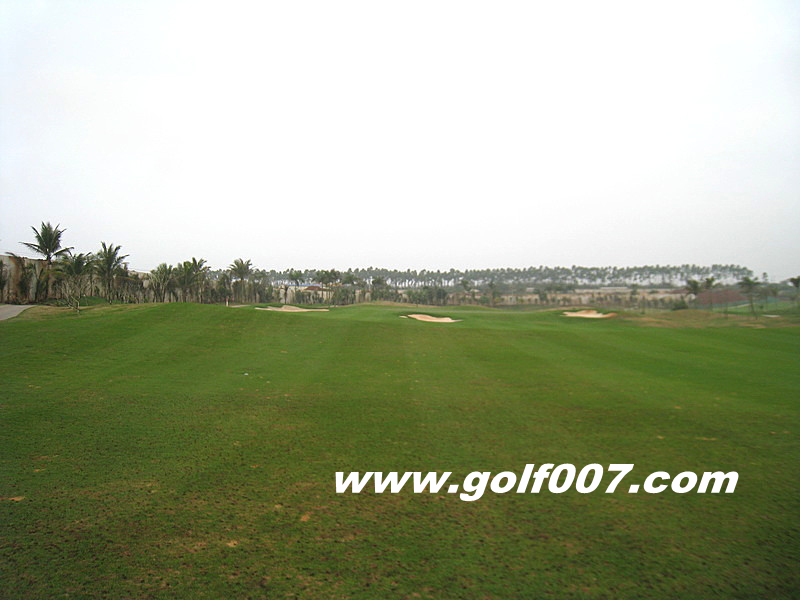 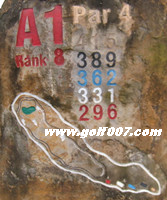 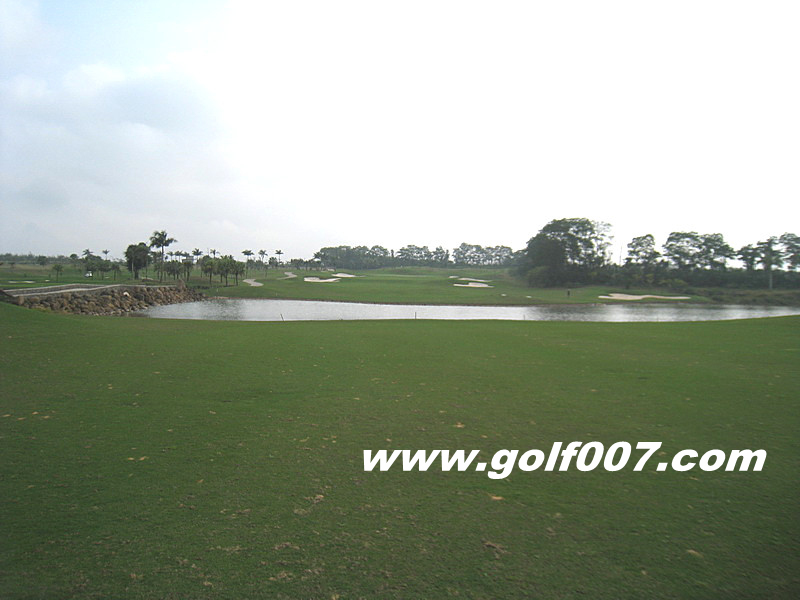 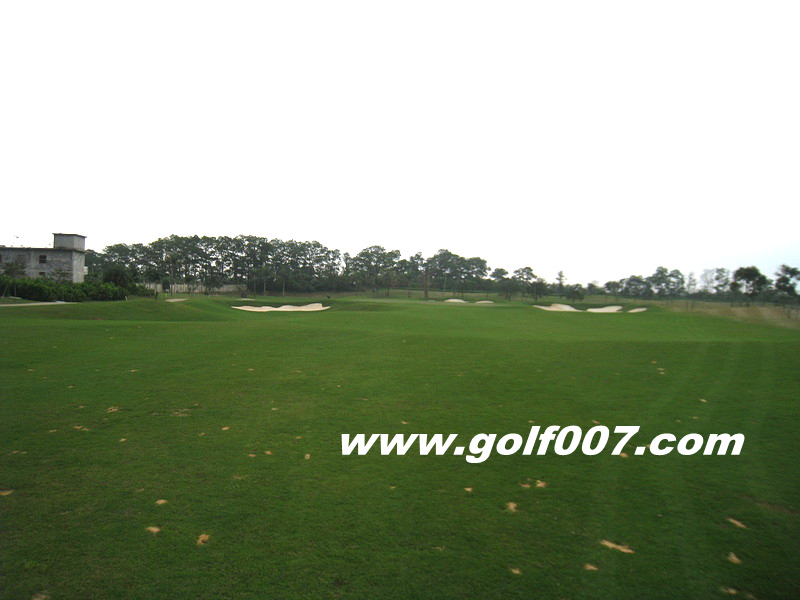 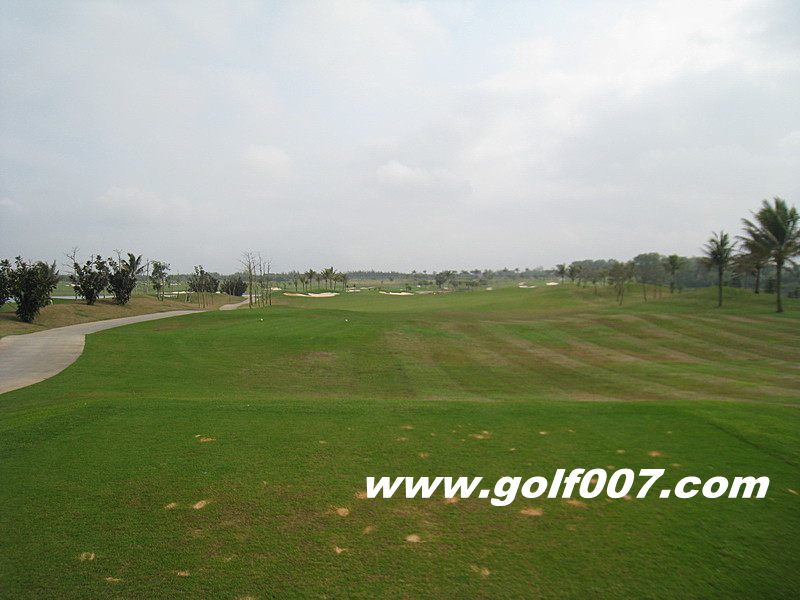 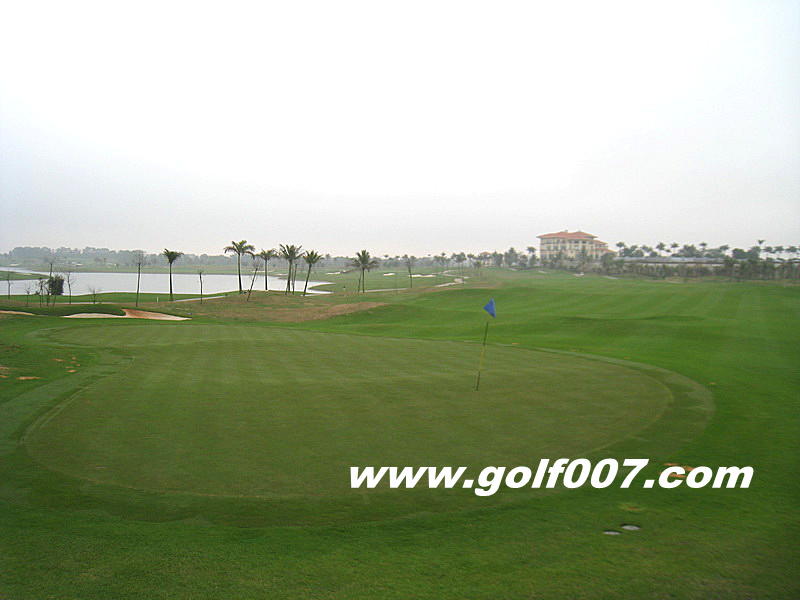 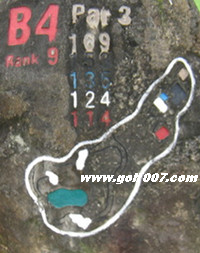 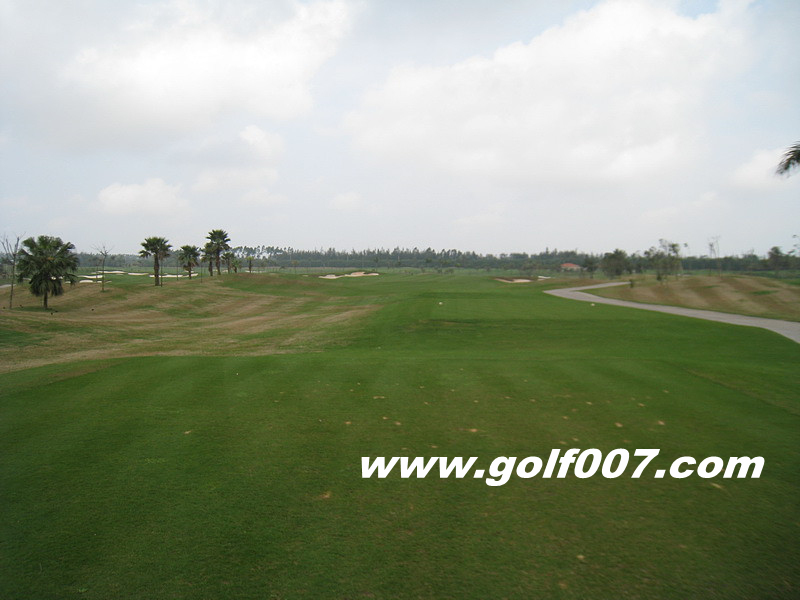 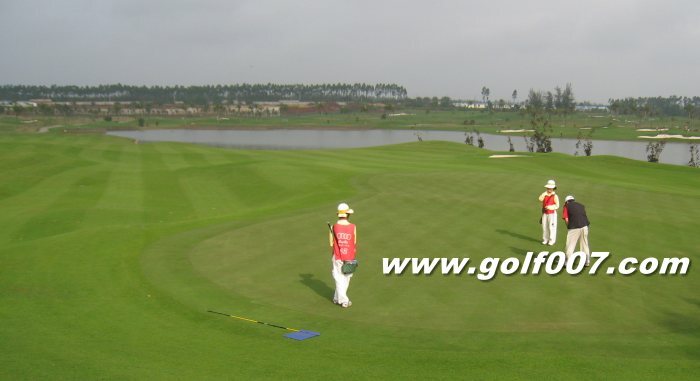 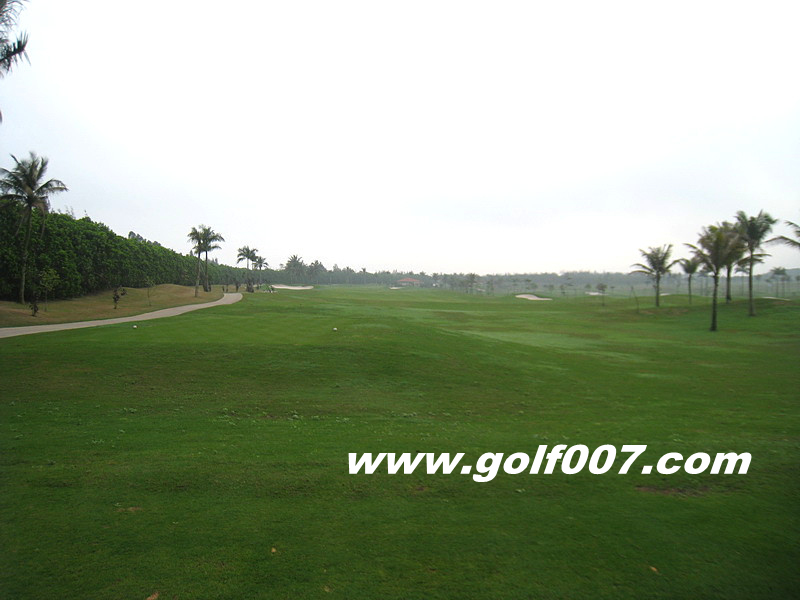 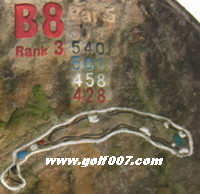 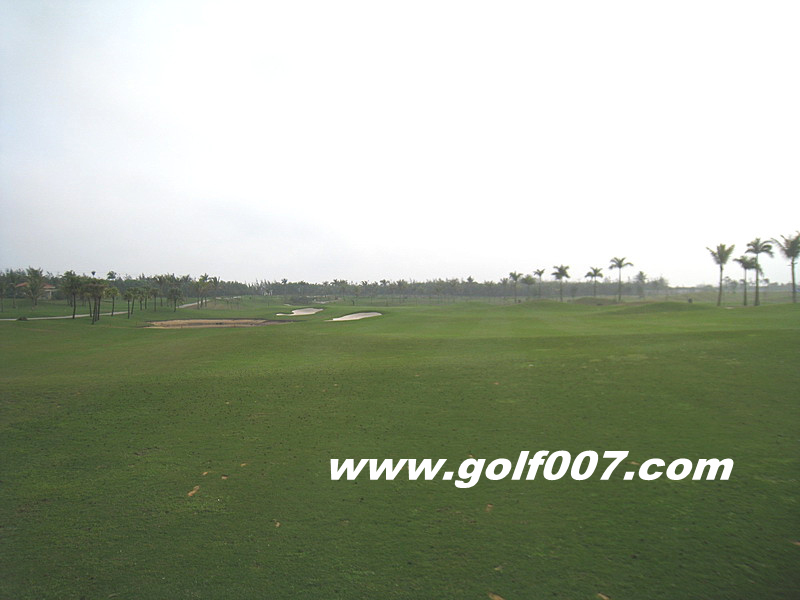 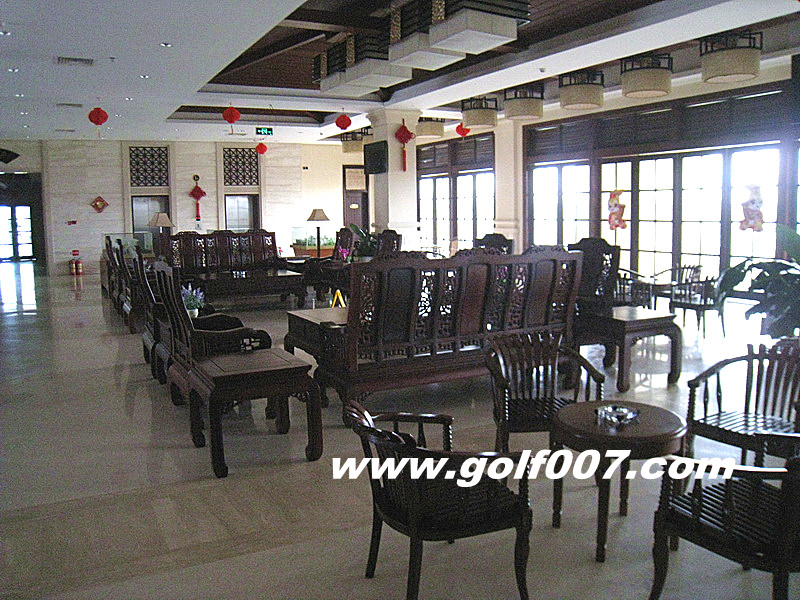 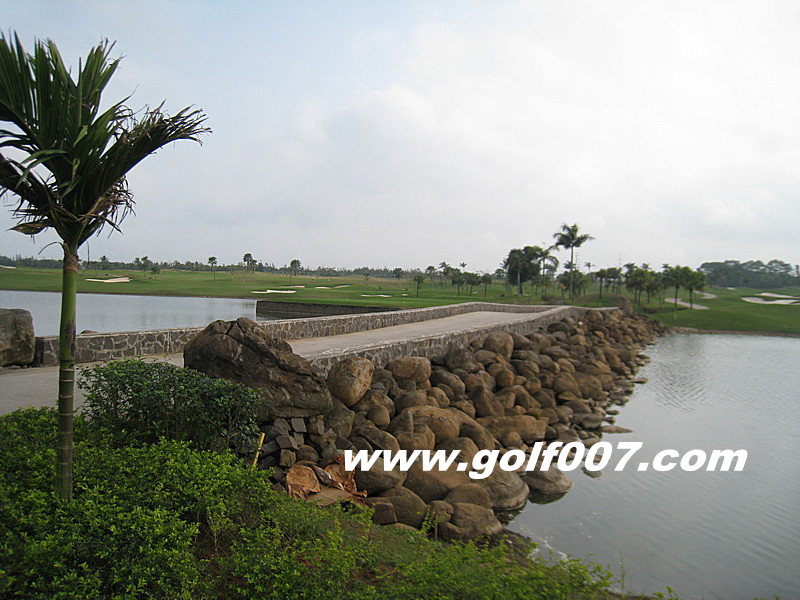 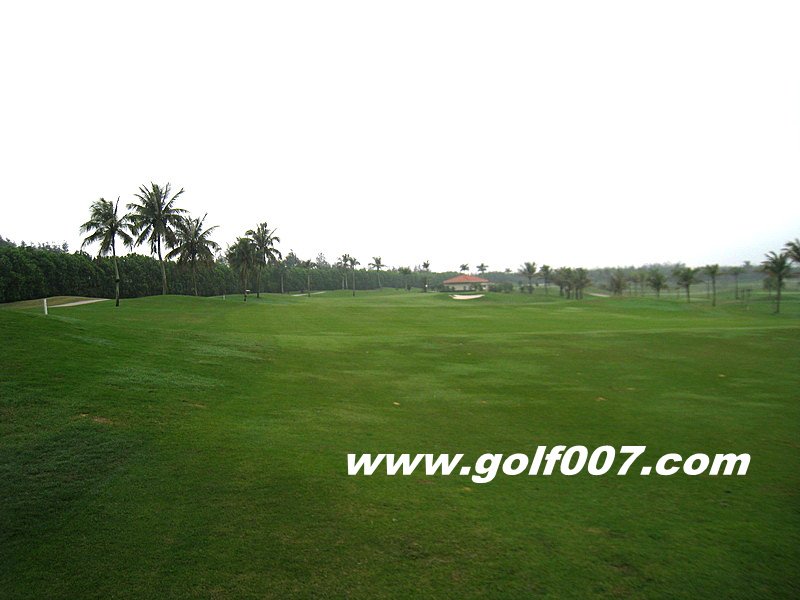 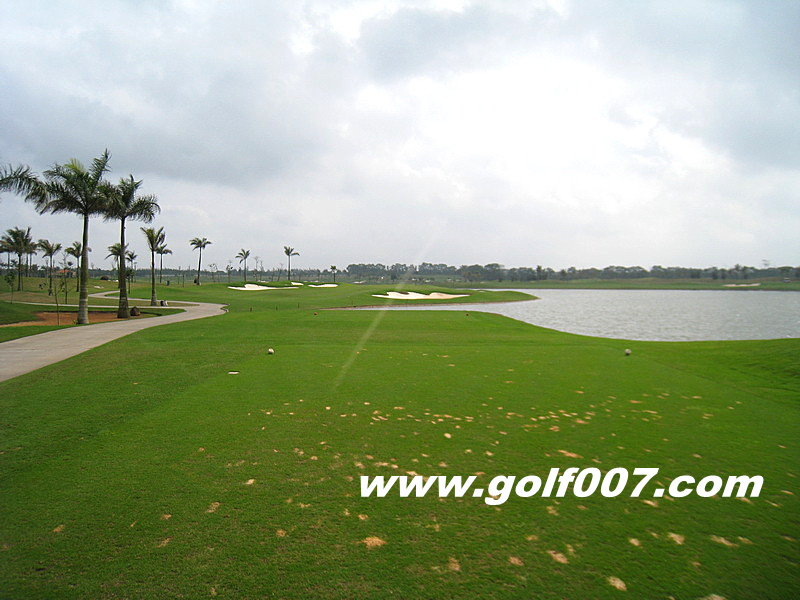 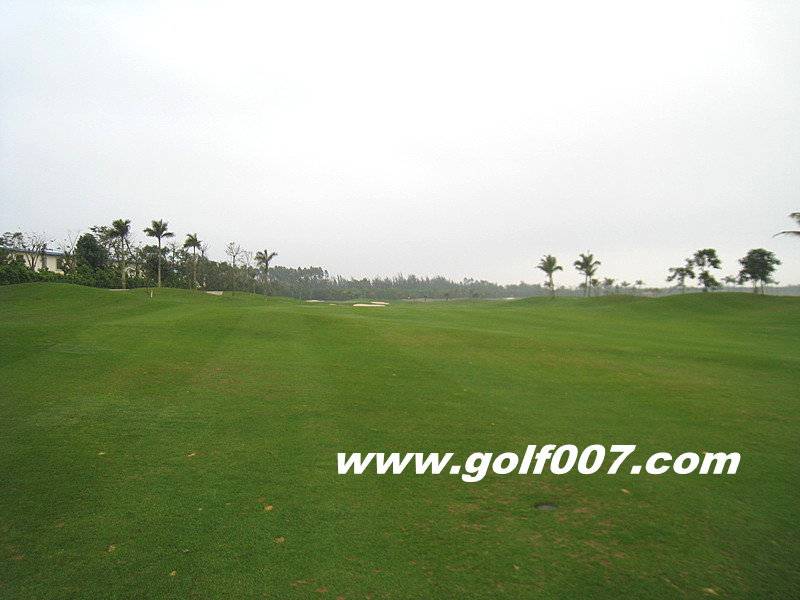 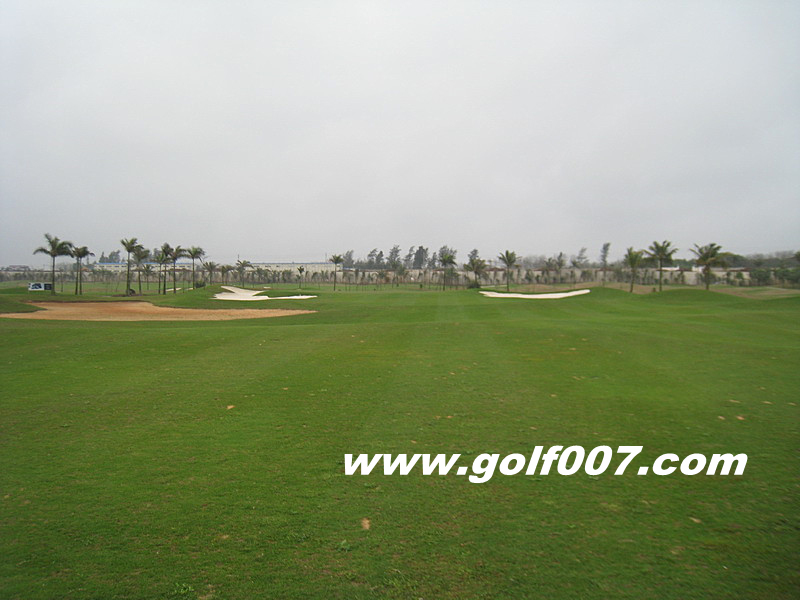 Dogleg left, Short Par 4 but going upslope, distance is not an issue, accuracy is as the landing area is intimidating. 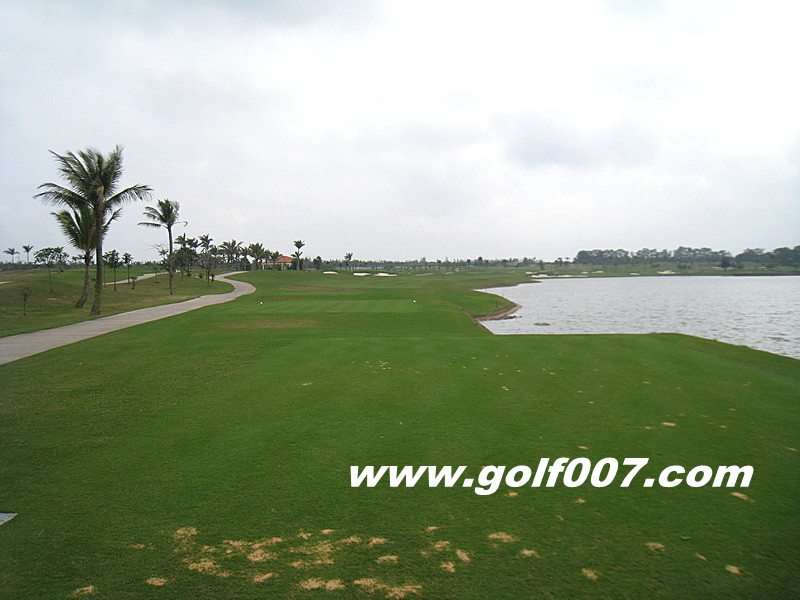 Dogleg right, water split fairway into two. 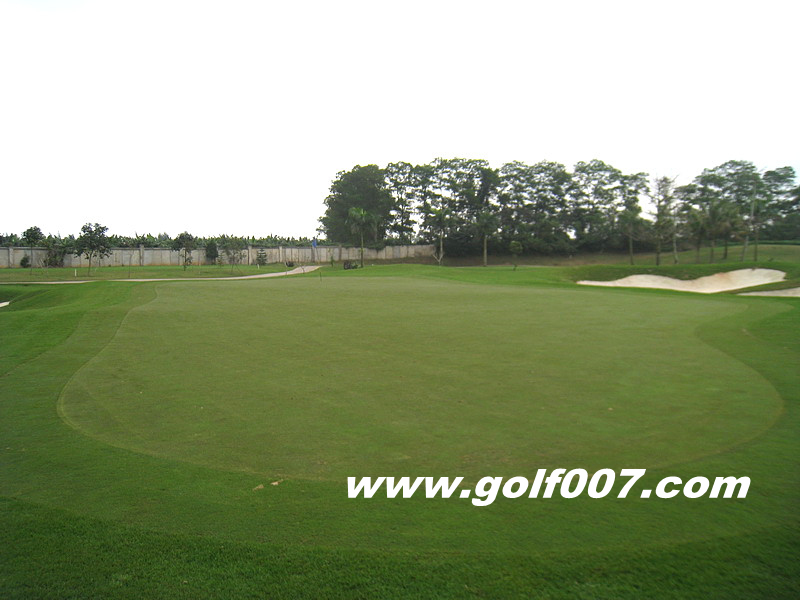 Green protected by 4 bunkers. 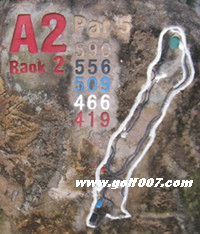 Dogleg right, not much trouble. 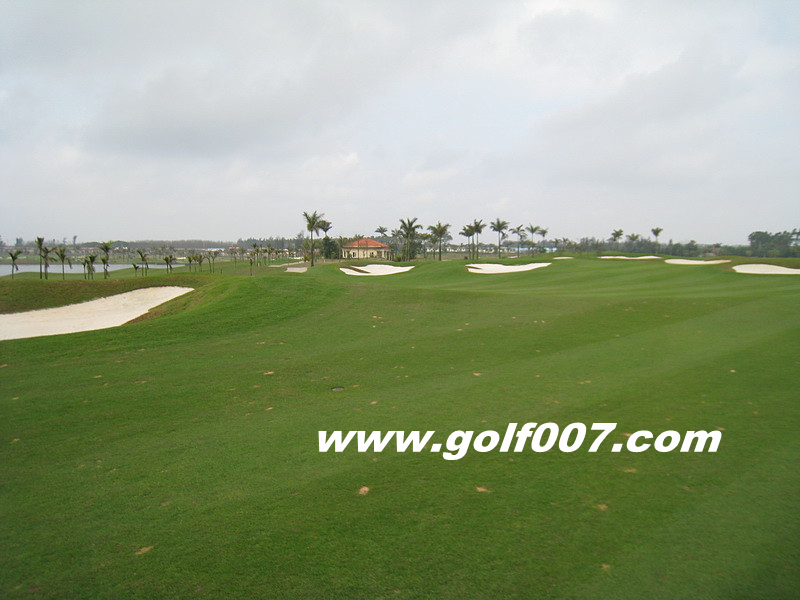 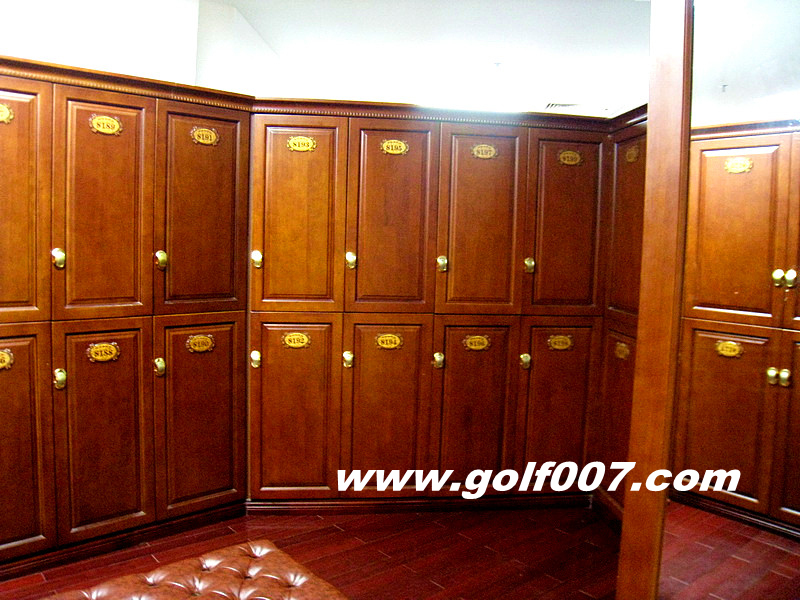 Aviod the deep greenside bunker on left. 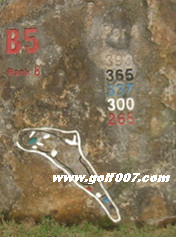 Dogleg left, green surrounded by bunkers. 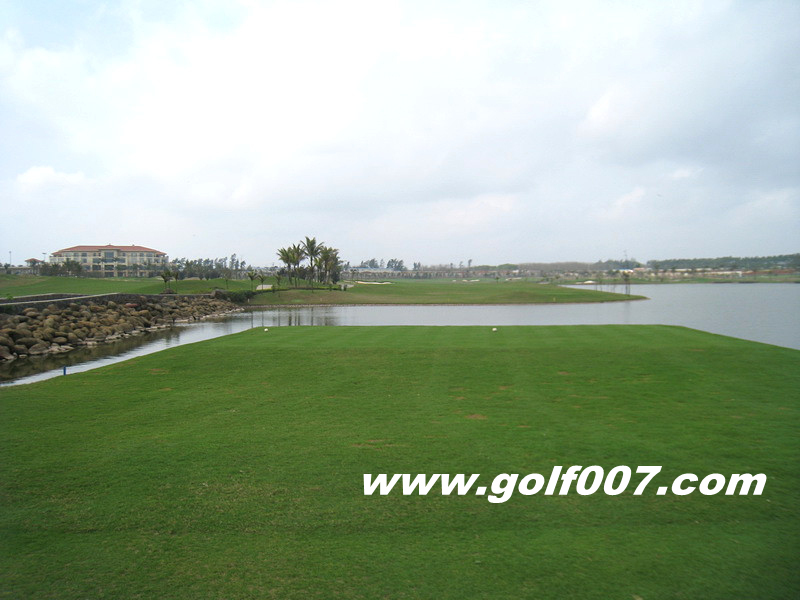 Dogleg left, teeshot to clear water. 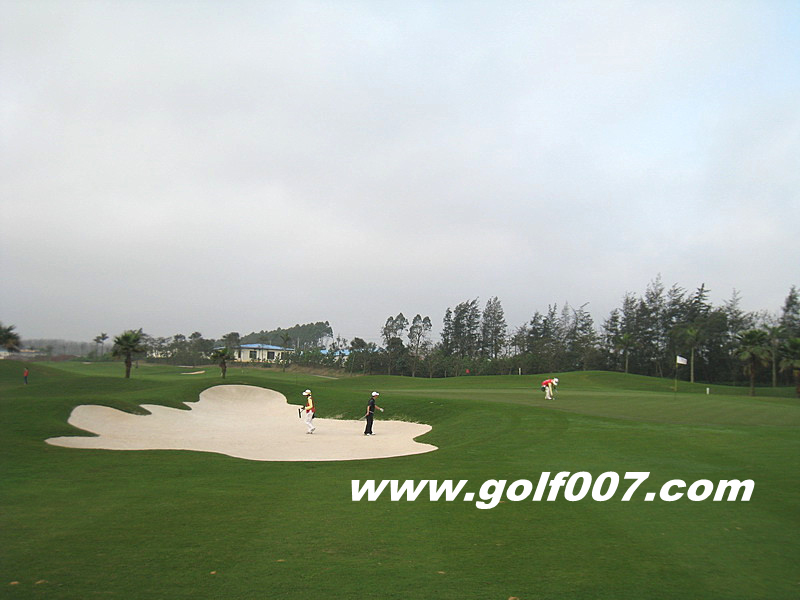 numerous bunkers guarded the green. 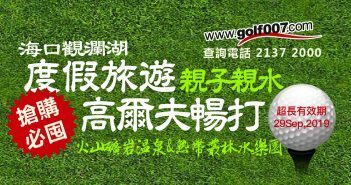 由於時間關係只可以打AB場…球場設計容錯性高, 易難度對業餘球手並不太苛刻, 新手會少掉些球也會打得開心, 但球道變化就不算多, 同時球會要注意同草坪保養及質量, 球場現時仍較新所以樹木和景觀還沒成熟.